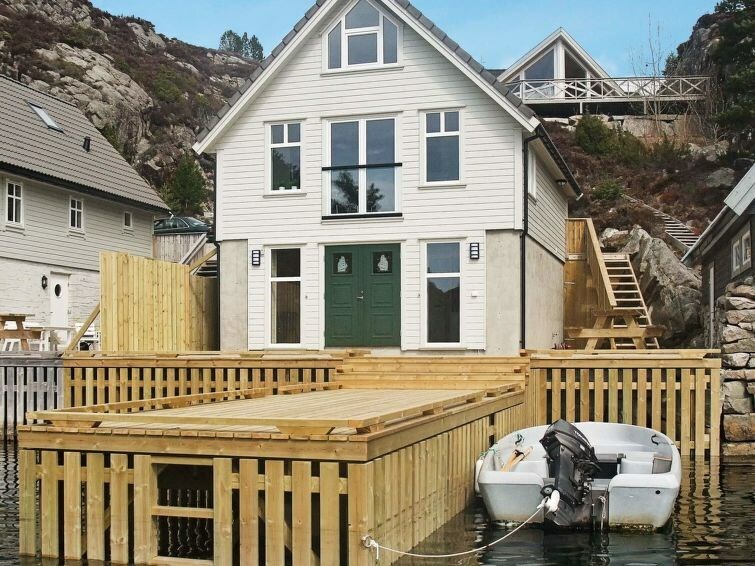 West facing and sunny anglers cottage of high standards, located in a peaceful and quiet place called Straumen. This area has excellent fishing conditions, sheltered by islands. 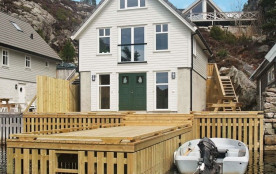 The cottage has a 70 m² combined terrace and dock in front of the basement, and a 16 m² terrace on the backside of ground floor. There is a stairway between the terraces. This is a modern cottage in bright colours and large windows, with a view of the sea and surrounding scenery. Satellite dish with Astra1 with numerous channels from all of Europe, and Canal Digital for Scandinavian and Norwegian channels. Good broadband internet capacity. The single beds can be combined into double beds and vice versa. The basement of the cottage has a combined living room and storage room for fishing equipment. The large island of Bømlo has plenty of activities and sights to experience. The highest point is 473 metres high, and gives you a wonderful view from the top. The fishing conditions here allow you to fish all year round. You can catch salmon and trout in the sea. 5 km to Storavatnet, a lake with trout up to 1 kg. 500 metres to the closest lake with smaller trout. The owner will teach you how to use the boats. They are cheap to run, are spacious and has many rod holders. If you damage a boat or have technical problems, you can use an equivalent boat while the damaged one is being repaired. Life jackets are included when renting boats. The 2 kayaks available for rent, fits 1 person each. If you rent bed linens, 2 towels are included. You can drive up to the cottage for dropping off luggage, and then park 50 meters away.